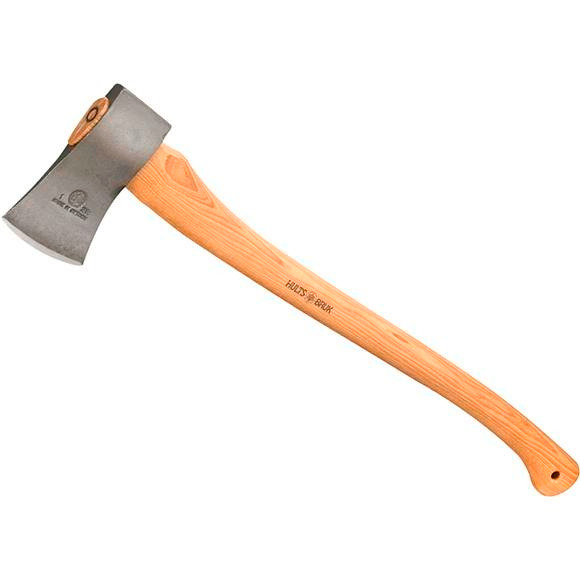 The Hults Bruk Kalix is a compact felling axe intended for bringing down or cutting up small to medium sized trees. This item has an axe head weight of 2.25 lbs and a handle length of 28 inches. The head is the product of blasted and clear-lacquered ironwork and the curved shaft is made of US-sourced hickory. That handle is treated with linseed oil.